Insulation is one of the best options for improving the overall energy efficiency in your home. Think of it as a blanket. When you wrap a blanket around your arms, the blanket itself does not generate heat. Rather, it helps to lock in the heat your body is producing. This is what insulating your home can do for you. It can help to provide a solution for improving the overall energy efficiency of various systems in your home. The right product may even do more than just help to keep the climate controlled in your home. One of the ways that insulation works is by helping to keep the heat in during the winter months. It does this in two ways. First, it helps to keep the heat produced by your furnace or other heating system from escaping the home. It also helps to keep the cold air from penetrating into the home's most vulnerable areas, like the attic. By doing this, it maximizes the amount of money you have to spend to warm up the home during the coldest months of the year. Another reason to invest in this product is to improve the ability to keep your air conditioning systems working efficiently. By helping to keep the heat from the outdoors out and the cooled air in, insulating products can save you money. This can also help to control the level of humidity in the home in some cases. You may find it more comfortable in your home no matter what the outdoor temperature is. Even when temperatures rise significantly, your home's interior temps are maintained properly. New products are even eco friendly. Not only are you being green by reducing the amount of energy your home uses, but also you are also able to use environmentally friendly products as insulating materials. By doing this, you could save a significant amount of waste and help to protect your environment. Look for new manufacturers that offer some great new products that help to keep your home's carbon footprint as small as it can be. Insulation is a valuable investment. If you invest in the right product and you have professionals put it in, you will see a significant savings on your energy bills. You can feel good about making this investment, too. You may qualify for an energy credit or you could find that the cost of it is far less expensive than you think. The right product, installed properly could even help you to save money (and pay for itself) in the long-term. It may be just the right decision for your home's long-term maintenance and upkeep too. Know When To Ask For Roofing Help! In all honesty, a roofing system is the one part of a building most affected when it comes to securing occupants from extreme and diverse weather conditions. Every day this valuable covering protects side walls, windows, masonry, foundations, and other essential structures from the harsh elements of nature and works to combat the rising cost of energy while creating an energy-efficient and water-tight building. It is vital to be aware of a roof's function and keep it in good working condition; otherwise, the entire system could fail, causing many problems. If such a failure does occur, it is crucial to look for common red flags to know if this is when professional intervention is required and to ask for help before severe damage occurs. In order to detect visible and concealed signs of damage, a thorough inspection must be carried out; any signs of damage could signal that the roof requires the help of a professional. Proper maintenance and regular inspections are needed to avoid premature failure and unwanted repairs. Such activity is imperative to prolong and extend the service life of the entire roofing system. Inspections should be conducted to identify what repairs may be needed and to determine the proper course of action to maintain a long- lasting overhead structure. If any of the following signs are detected during a routine inspection, it would be advisable to call in an expert to make necessary repairs. Damaged Flashing - This usually happens due to bad weather, strong winds, or incorrectly installed roofing. The most common site for this to happen is the chimney. Loosening or deterioration of flashing is the primary reason for water penetration. Missing Shingles - It is essential to note that strong winds can blow shingles off of a roof, so missing shingles are a red flag that there may be extensive damage concealed underneath this material. If neglected, further exposure to outside elements could lead to premature failure. Curling - When this happens on the corners of shingles, it may be a result of moisture, improper nailing patterns, and inadequate attic ventilation. Water will penetrate and damage the underlying structures. In the worst cases, material may be blown off by high winds or curling shingles may be brittle and require immediate replacement. Thermal Splitting - Common problems of asphalt fiber shingles are splitting and cracking. Whether the splitting is vertical or horizontal, the roof is susceptible to water entry which lessens its ability to resist the effects of climatic conditions and negatively impact its lifespan. Extensive Granulation - Granules loosen naturally during installation, which does not affect the service life of the material; however, if this becomes extensive due to the aging process or any other reasons, and the fiber mat is exposed, the affected portions must be removed or replaced. Exposed areas usually wear faster compared to intact material. Ceiling Spots - Coffee-colored stains seen on the ceiling are a positive sign of leaks. By virtue of gravity, water will find its way into the interior of a home as well as its foundation, causing adverse effects to the building and disrupting the interior comfort level. All of the red flags listed above can result in leaks and cause severe damage if not given prompt attention. The roof is a very expensive investment and must be kept in good working condition to perform its primary function. Knowing how to recognize red flags can help save a lot of future problems. When visible destruction and damage is apparent during an inspection, it is the right time to ask for the help of a professional roofer before damage spreads and becomes more extensive! Gutters are considered a minor component of a roof in terms of size, yet actually contribute a great deal to the longevity and overall look of a building. They are mainly intended for gently channeling water run off from the roof to the ground but can be an aesthetic element in the design of the home as well. Little has changed in gutter design over the years; however, there has been improvement in the type of material used as well as in installation methods. One type that is often preferred by professionals because of its flawless design and durability are seamless gutters or eaves troughs. Although small in stature, gutters have a very large role to play, especially during rainy weather. Rain moving down a sloped roof contains great velocity, which can eventually damage even concrete pavement. Splattering from its impact can also soak into adjacent walls, causing damage to paint and possibly causing any wood to rot. Gutters are specifically designed to collect water from the edge of the roof and direct it through a proper drainage system. Aside from its water protection role they play, gutters can also add a major design statement to a house. With the right color and curves, continuity can be added to the roof design and look much better than a plain drip edge. Aside from the type of material, eaves troughs are categorized by professionals based on construction, which is mainly sectioned and seamless. Sectioned - These are ideal for a D-I-Y effort, as they are pre-formed and pre-cut to a uniform length and can be purchased from most construction stores. With just a few cuts and some sealant, an average person should be able to set this system up without much help. Seamless - This type is constructed from one long strip of metal that has been custom formed and cut for a specific roof so the number of joints are minimized and generally require professional installation. While both types work equally well during rain, seamless gutters have a considerable advantage in terms of longevity as well as better aesthetic features. The biggest advantage of seamless eaves troughs is the freedom to be customized into any kind of shape and design rather than being limited to available shelf designs. This is possible because of the fact that the raw metal strip is machined and shaped right at the site so it has the flexibility to be just about any design to compliment the roof or other parts of the house. With completely customized gutters, blending the color to surrounding elements is much easier since a matching or contrasting color can be chosen rather than the selection at the pre-painted gutter sections of a home improvement store. In terms of longevity, seamless troughs have a longer service life than sectioned counterparts due to the fact that there are a reduced number of seams and are therefore less prone to leaks. There is also the option of choosing much thicker material than what is conventionally used in prefabricated types which gives them an overall advantage. In summary, seamless gutters are an ideal option for a long-lasting, custom and quality finish is desired. This choice offers more flexibility since the option to choose a specific design and the quality of the material used is available. Hopefully this article has highlighted the advantages of seamless gutters and how they can add unique style to any home! Choose Correctly When Purchasing a New Roof! While certain roofs such as slate have a service life that will likely surpass those who occupy the building covered, most other types of roofs will not last nearly that long. This means that after living in the same house for a few decades, any occupants would eventually have to replace this structure. A roof that is quite popular in a neighborhood might be the choice; others may be selected based on budgetary concerns and others decisions may be based on the recommendations of a building designer. So the question to be asked about what is the best criteria to use when deciding upon the design and materials that to use in the construction of a new roof. When it comes to choosing a particular type of roof, there are certain factors that should be prioritized and considered before making a final decision. Climate - Prevailing climate and weather conditions should be a primary consideration when deciding what type of structure to build. For example, using clay tile in a hail-prone area is not a wise idea. Similarly, using ordinary asphalt shingles in places with many tornadoes could result in costly repairs. These are just some examples of how climate and weather should be studied. Cost - Budget is another determining factor in making a roofing system choice. There are more options than ever before when it comes to the type of material to use for such a project, some more affordable than others. It is important to realize that not all low-cost material is low quality and not all expensive ones are the best to use; therefore, a balance must be established between material quality and material cost. Fire Resistant - It helps to be prepared for even the worst circumstances such as fire. Various types have different fire resistance values so it is important to select materials that are fire resistant or at least not fire prone. Some substances that have a high fire resistance value are concrete, slate, tile and metal. Longevity - Slate and metal last much longer than other possible selections which generally means the structure will need fewer repairs and be less costly to maintain. Although the initial cost may be high, such expenses can be recovered because of the long service life offered by slate and metal. 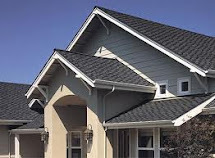 As an opposite example, asphalt shingles may have a very low initial cost, but will require more maintenance and eventual replacement after a few decades. Maintenance - While every roofing system requires some sort of maintenance, there is a huge difference on just how much and how often it is needed. Metal requires regular painting to protect it from corrosion; ordinary shingles need to be checked after every storm for any damage. Asphalt shingles are also prone to the growth of microbes and require frequent cleaning. Because maintenance is a crucial part of a roof's longevity, it is imperative that a decision be based on how much effort will be taken or money spent for this ongoing upkeep. Aesthetics - The last element that should be considered is aesthetics. If there is a certain style or material that is preferred and meets the other criteria, there is no reason why it should not be used. It is important to keep in mind that aesthetics should be the last criteria to consider as providing protection from outside elements is the most important aspect in any selection process. Having to pay for a roof is something that will be encountered by many homeowners; when that time comes, it is important to make a wise decision. Lack of attention to the details of climate and weather conditions can lead to costly repairs in the future. Required maintenance is also important when making such a purchase. Hopefully this article has been helpful in providing important criteria on how to properly choose a roof! Shingles are just one part of a healthy, long lasting roof. Owens Corning™ Roofing Essentials are everything your roof needs to perform the way it was designed. Learn about the various products that work together for the longest-lasting roof. When you want the elegant look of slate, you want Owens Corning ™ Berkshire® Shingles. These high-end asphalt shingles look impressive without the expense and weight of real slate and come in a range of colors. Owens Corning ™ Berkshire® Shingles offer the beauty of slate and the durability of a trusted brand like Owens Corning™. The SureNail® Differance - A technological breakthrough in roofing. All TruDefinition® Duration® Series Shingles come with the added benefits of patented SureNail® Technology. The texture and thickness of Owens Corning™ Woodmoor® & Woodcrest® Collection Shingles are reminiscent of real wood shake. Give your home a natural rustic appearance when you install one of these eight eye-catching colors. Owens Corning™ Deck Defense underlayment offers the ultimate in roof deck protection. It has a tough, water-resistant construction and an innovative surface that repels water. Doesn't it make you feel secure to know that your home is protected from moisture during and after installation?